Happy fall y’all! This is Katie of the blog, Twin Stripe, you might remember seeing my Greensboro travel guide on Feast + West in August. Today I’m honored to guest post as Susannah explores St. Louis, the city I grew up in. 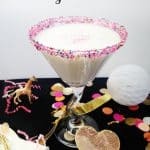 She asked me to make a cocktail creation, which I was a bit nervous about, since she is the queen of libations. With fall officially here, the air is crisp and the leaves are starting to change. I can’t get enough fall-favored food: anything pumpkin, cinnamon or spice will do. 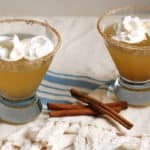 I love a good pumpkin spice latte and I wondered how that syrup would taste in a cocktail. 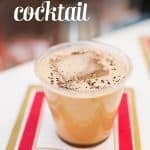 I whipped up a batch of homemade pumpkin spice syrup and created the perfect fall cocktail, the Autumn Spice Martini. 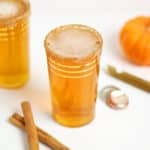 This drink is bursting with flavors of cinnamon, nutmeg, ginger, cloves and of course pumpkin. I highly recommend making your own pumpkin syrup, but store-bought would substitute in a pinch. 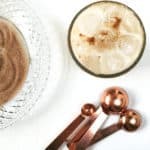 Click below to see Katie’s Autumn Spice Martini recipe! 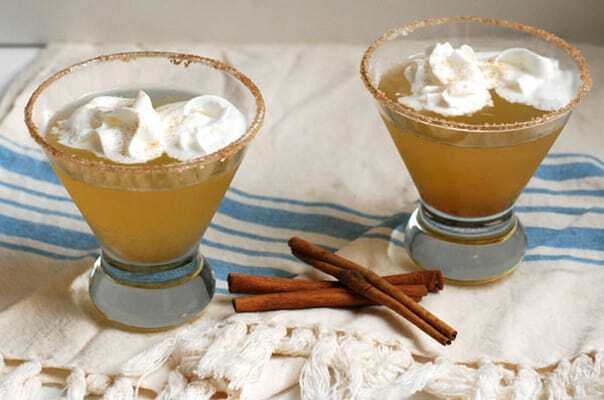 This cocktail is bursting with flavors of cinnamon, nutmeg, ginger, cloves and pumpkin. Rim the glasses. Place the cinnamon sugar on a plate. 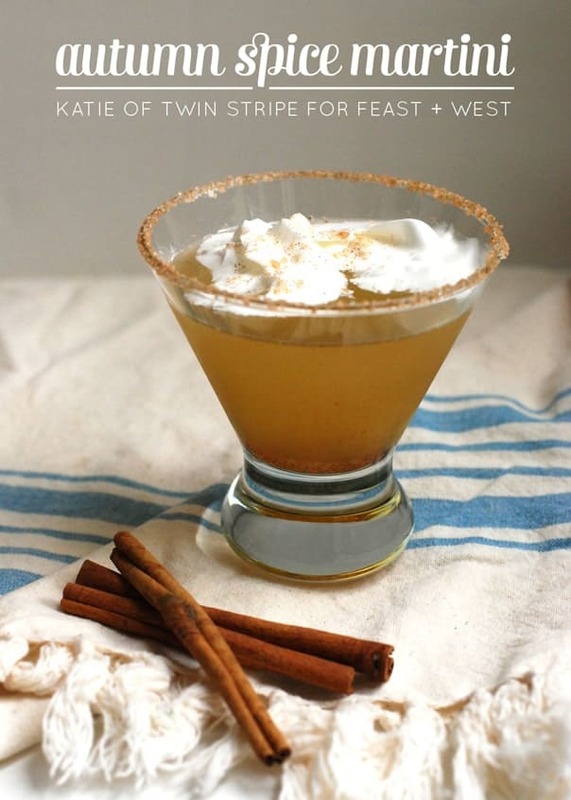 To get the cinnamon sugar to stick to the glass, dip the rim in a little vanilla vodka, then roll in the cinnamon sugar. Make the cocktail. Fill a shaker to the gill with ice, vodka and pumpkin spice simple syrup and shake vigorously. Pour into a prepared cocktail glass. Garnish. Top with whipped cream and sprinkle with ground cinnamon. If you plan to make homemade simple syrup, be sure to factor in the extra time it takes to make and cool. Once your pumpkin spice syrup is ready to go, you can start to put the cocktail together. Don’t they? We’ll have to see about that!